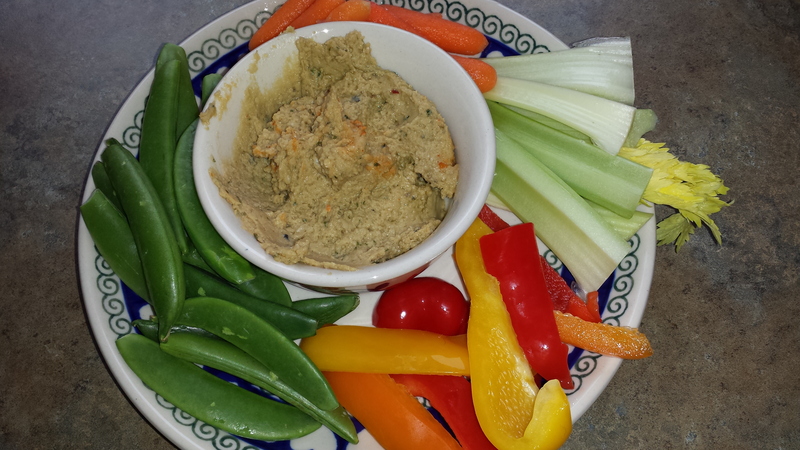 This hummus like many is earthy tasting. It’s all natural and healthy of course and goes well with a variety of vegetables or crackers. Put all ingredients into a blender or food processor and blend until smooth and creamy adding more olive oil if needed. Transfer to a bowl, sprinkle paprika over top, cover and chill several hours or overnight to let flavors blend.